Boston's premier afrofunk outfit, the Macrotones, have been launching explosive dance parties for over a decade. 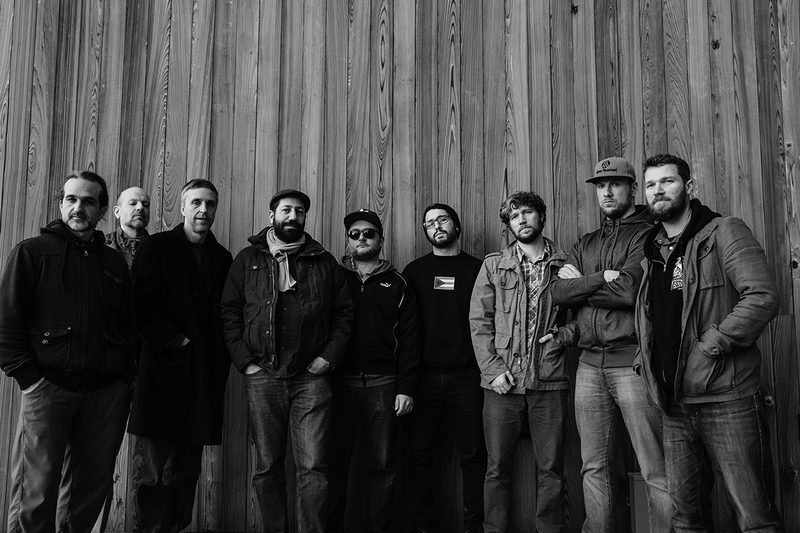 The 9-piece, horn-driven ensemble is steeped in funk, afrobeat, cinematic soul, ethiojazz, rock, and more, resulting in dark, interlaced rhythms and progressive arrangements. 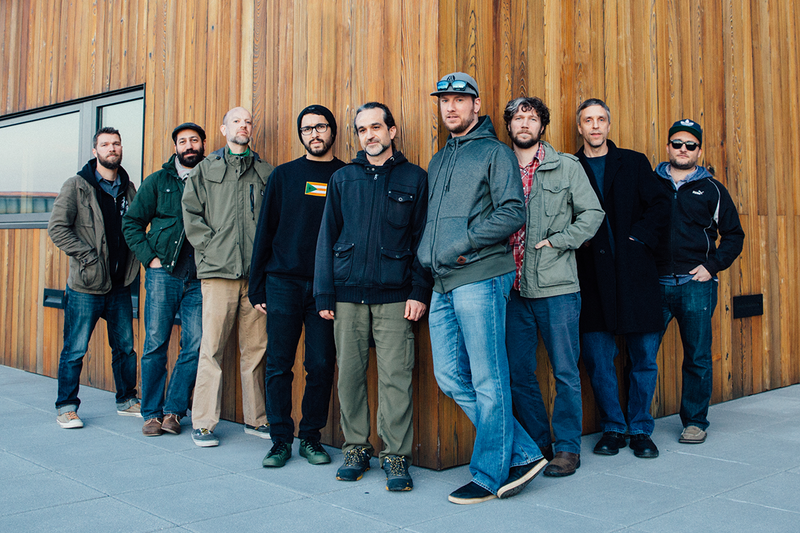 The band’s tightly-honed grooves and infectious sound has shared the stage with like-minded practitioners such as the Budos Band, Lee Fields & the Expressions, Grupo Fantasma, Orgone, Ikebe Shakedown, and Sierra Leone's Refugee All Stars. Since typical genre descriptions fail to fully capture the scope of the Macrotones’ sound, new monikers need exploration: imperial funk, astrobeat, or even “a soundtrack for spies” all fit. After self-recording their first record, 2008’s Wayne Manor, the Macrotones followed up with two studio albums: First Signs of Danger, released on Young Cub Records in 2010 and produced by Craig Welsh (John Brown’s Body, 10 Foot Ganja Plant), and Darvaza, released on Music ADD Records in 2012 and produced by Sean Slade (Radiohead, Morphine). 2016 saw the release of Macro's 3rd full length, Unknown Outpost, with Boston Music Award-winner and Grammy-nominated engineer/producer Benny Grotto at the helm. The LP was also their first to feature guest vocalists on a number of songs, including emerging star Iyeoka. Several members of the band toured internationally with Iyeoka, performing some of their original tunes to large crowds across Europe. In the fall of 2017, the band released two back-to-back EP's; The Prisoner Flees & The Shark Eats on Music ADD Records. The first was tracked at Converse Rubber Tracks Boston studio and mixed by Dan Cardinal, while the second was done with Benny Grotto at Mad Oak Studios in Allston MA. The Macrotones continue to work with vocalists which has become standard for their live performances, and they are on track to release a full vocal record in the near future. Download hi-res press photos above. "While the Macrotones’ brass stays powerful, it stays smooth and shiny as silk as well; easing into and out of measures with style, letting some of the more percussive instruments have their time and space." "Rejects categorization within Afrobeat, reggae, and jam-band boundaries… Wayne Manor is a miraculous matrimony of funky preconceived ideals and effective spontaneity." "A tight display of funk and percussive aggression… Certain songs attack and punch you in the face from start to finish while others slowly creep, ebb, and flow..."
"They pump out an instrumental, afro-beat inspired, funk sound that will get your booty shaking. While you certainly get the sense that Fela's spirit is lingering in the air, there are also dashes of good ol' American funk thrown in for good measure. Tight horns, funky basslines, all sorts of percussion – certainly a tasty recipe." "Very funky, jazzy horn section and irresistible percussion. This album [Wayne Manor] often reminds me of the soundtrack to a spy movie. There is an inquisitive nature behind each of these songs that keeps the listener on their toes throughout the twists and turns of each song." © 2019 The Macrotones. All rights reserved. Site by MADD.